South Zone cricketers are all smiles after booking their spot in the Flow Secondary Schools Cricket League final yesterday. 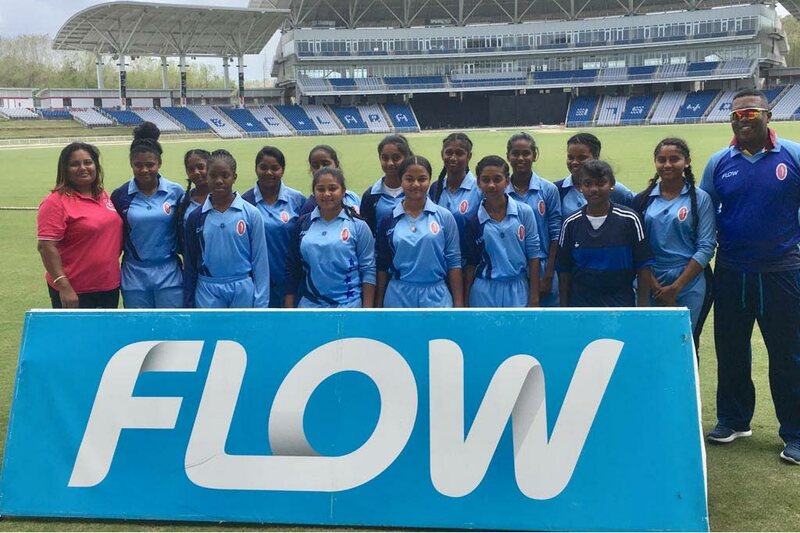 Shania Abdool scored an unbeaten 108 runs as she guided her South Zone team into Tuesday’s final of the Flow Secondary Schools Cricket League (SSCL) Girls Interzonal Championship, with a victory over a North/ North East outfit. South will face the winner of last night’s match between the East and Central which was still in progress at press time. The semi-final matches took place yesterday at the Brian Lara Cricket Academy in Tarouba, courtesy a partnership between SSCL, UDECOTT and the Brian Lara Academy. In the first game, Abdool spearheaded South to 208 runs for the loss of no wickets after 20 overs. Djenaba Joseph opened with her partner but retired hurt after 24 runs. Reanna Farrow replaced the batsman and contributed 19 runs towards the total. In reply, North/North East only managed to reach 66 runs, after their allotted 20 overs, losing six wickets in the process. Jesse Ferdinand topscored for the visiting team with 35 runs while Shaina Kistow stroked 22 runs. Shalini Samaroo restricted North/NorthEast with her bowling as she took three wickets for 13 runs during her spell with the ball. The final will take place at the same venue and is scheduled to begin at 2 pm. Reply to "Abdool’s century leads South into SSCL final"